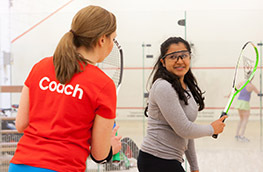 Our bite-sized intermediate tutorials teach you how to master skills to take your game to the next level - with expert advice from England's elite coaches. Requires England Squash playing membership - login or active your England Squash account. Not a member? Sign up. Inspired to coach? We show you how.